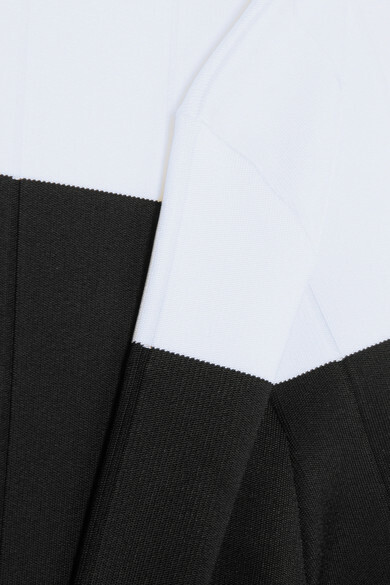 Since taking the creative helm at Givenchy, Clare Waight Keller has revisited some of the house's archival logos - the iconic '4G' symbol from the '70s can be spotted above the hem of this sweater. 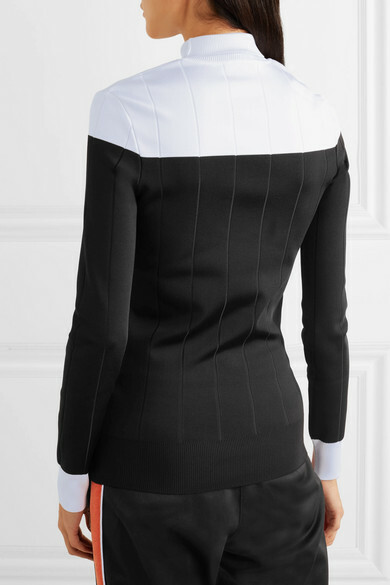 Knitted from a stretch fabric for a close fit, it has a ribbed turtleneck and contrasting yoke and cuffs. Wear it at the office or to meetings in the city with tailored pants. Shown here with: Givenchy Track pants, Givenchy Shoulder bag, Maison Margiela Ankle boots.